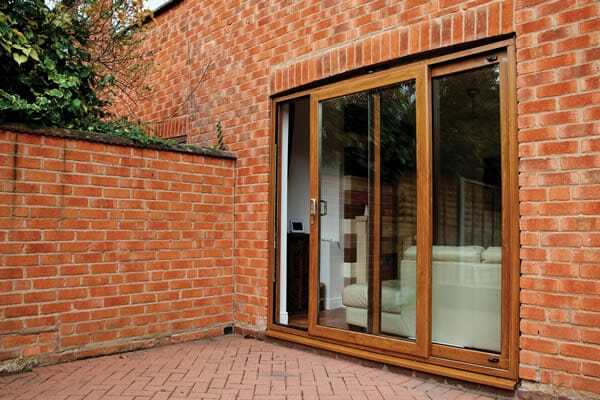 What are uPVC Bifold Doors? 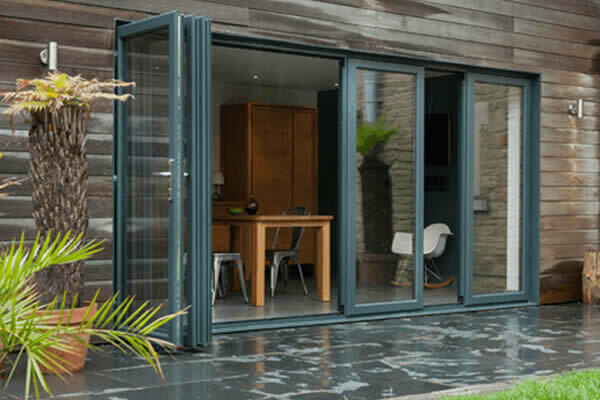 If you are looking for a modern design for your doors, then the uPVC bifold doors are for you. These contemporary doors have a very minimalistic feel to them, with large glass areas and smaller frames. This lets in a great amount of natural light and gives you great views of the outside of your house. They may also be used as interior doors, folding all of the way open to allow for a great opening between rooms when needed. The high-quality uPVC is easy to clean and to maintain – resisting staining and distortion far longer than most commonly used materials . 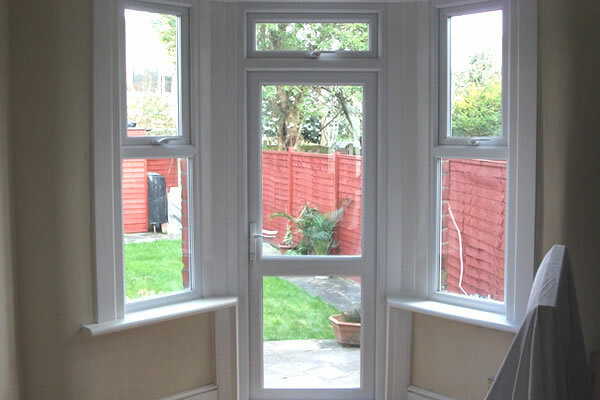 The strong build makes them extremely safe for exterior use and the uPVC build is weather resistant and long lasting. If you are looking for replacement doors and would like to look at bifold patio doors as an option, then try our quote system. You can get your bifold door costs from one of our experts who will be more than happy to answer any questions, simply measure your existing door and start your quote. Request an appointment with your local advisor or just find out a little more about our products range, call us now on 01322 515960 or 01279 799818. 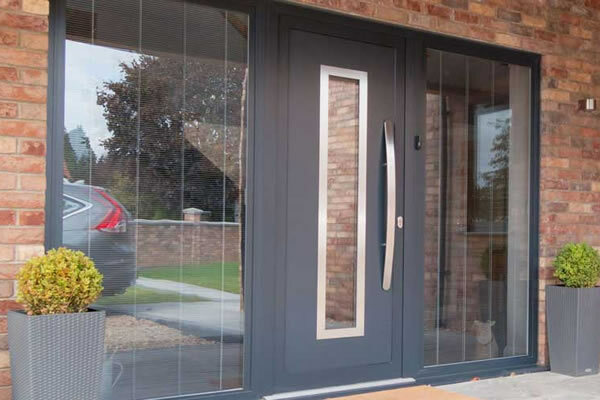 Our rubber-sealed low thresholds make our bifolds more weather resistant and energy efficient than many other types of generic garden entrance doors, saving you money and stress. 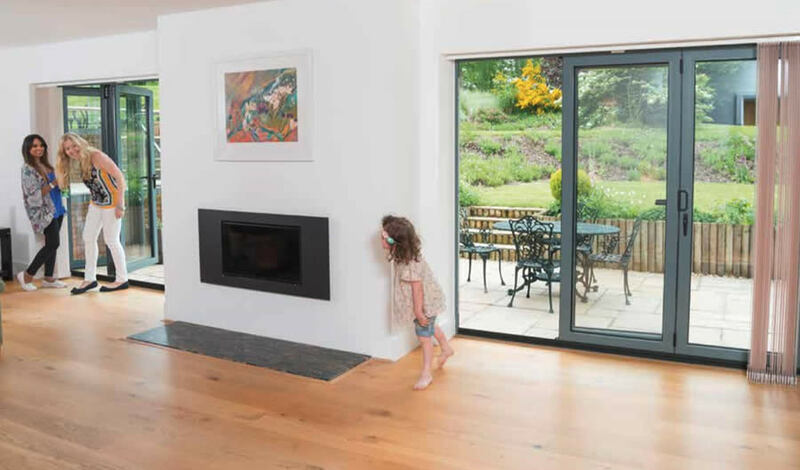 Our bifold doors are made of the highest quality materials and come with a state of the art locking system. Designed to give you peace of mind that your home is safe and secure. 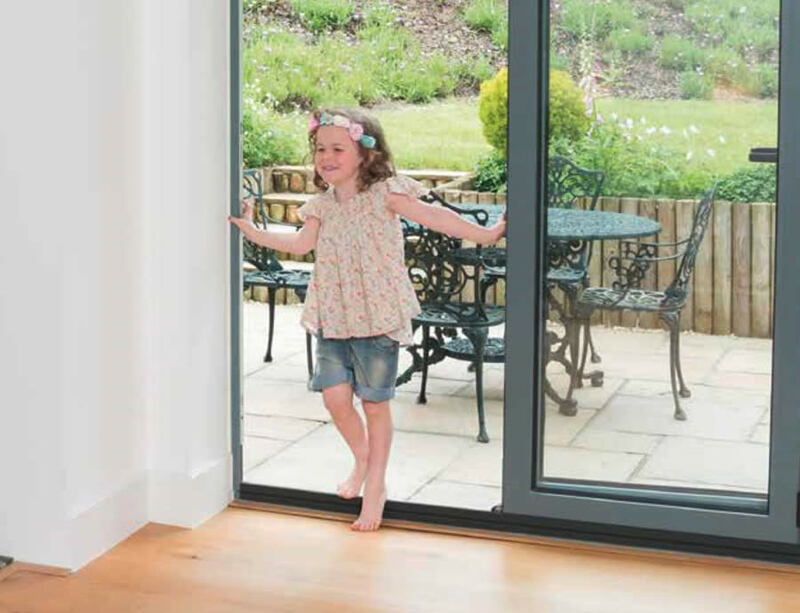 Bifolds are highly energy efficient while also provide a very wide aperture whilst open. This makes them ideal for connecting the home to the garden, as you’ll be able to keep the outside out in the winter and let it in during summer. 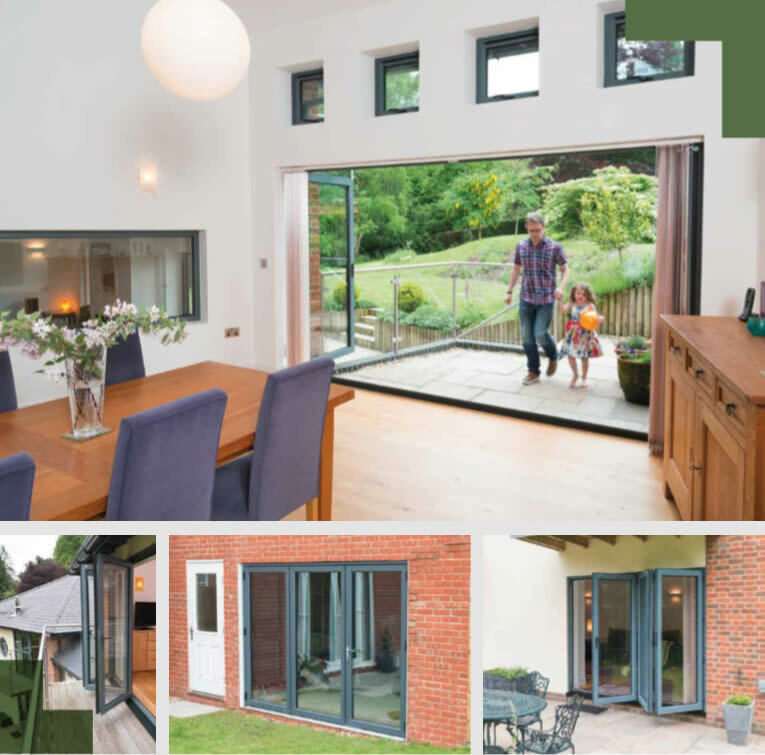 Bifold doors are a great, attractive addition to your home The minimalistic style gives you less frame and more glass, giving you a beautiful, seamless entrance to your home. Even once fully open, the bifold doors take up minimal space. 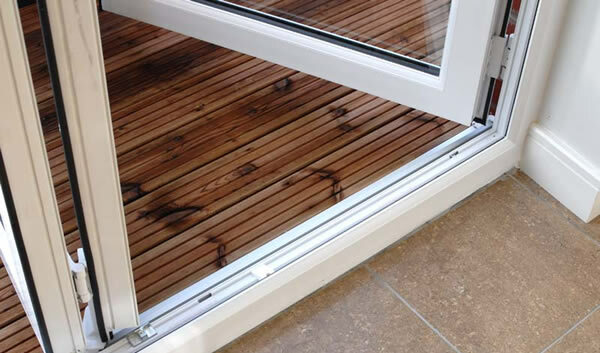 The doors concertina onto themselves giving a wide open space, perfect for access to your garden and a must if you enjoy entertaining and summer BBQs. 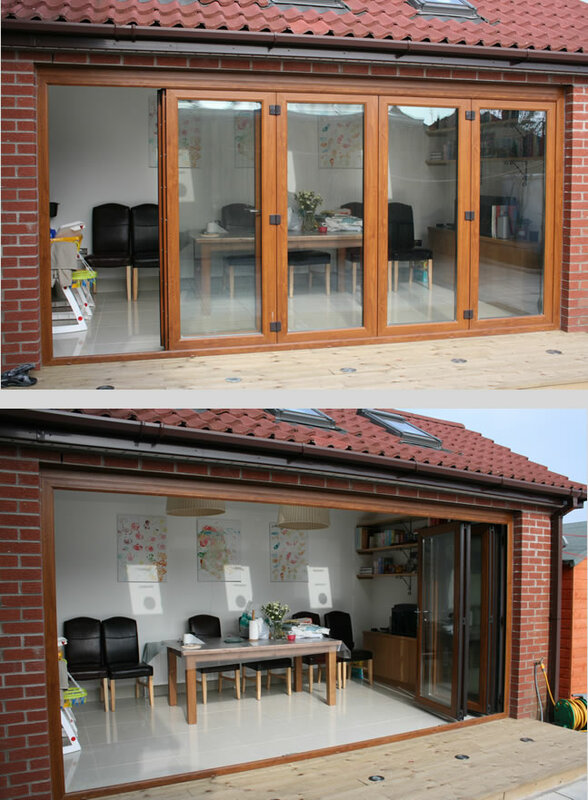 These bifold doors can really transform a room, changing a previously dark area into a light and airy space. This modern style door can be used as an external or interior door. You can now get a quote for double glazed bifold doors for your home from a member of the team. 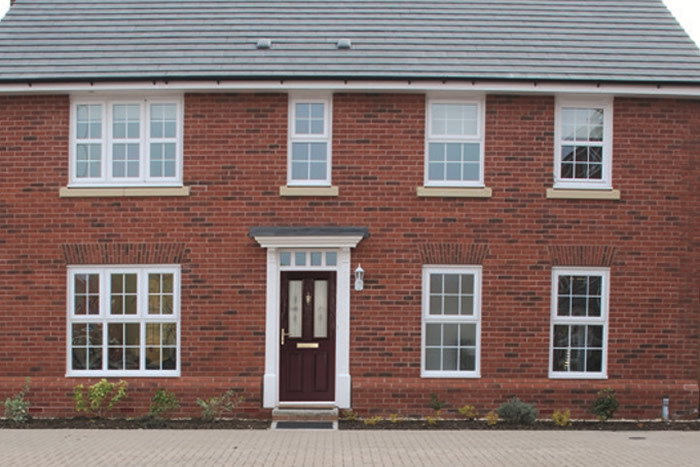 Simply measure your existing door frame and start your quote online and an expert will help you to choose from our wide range of styles and colours for your new doors. Your price includes all supply and fitting. 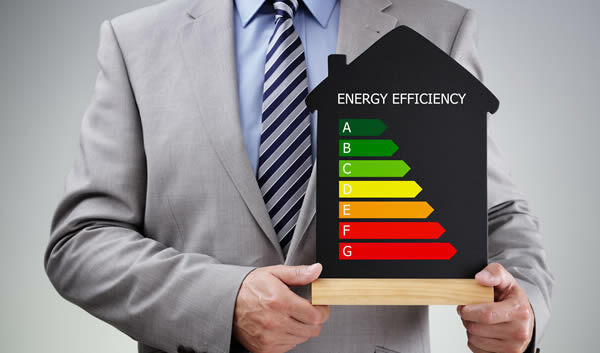 Our prices are hard to beat and without any of the hard sales pitch that you expect when buying windows and doors. Get one of the latest uPVC front doors for your property. These stunning front doors are great looking and low maintenance, making them a great investment for your home. Get the ideal blend of security and great looks with one of our low maintenance uPVC Back Doors. 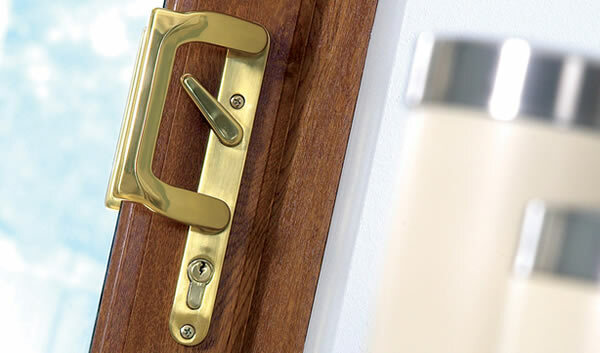 We have a wide range of double glazed back doors available to choose from online. Your property can now have all the style of timber doors without the high maintenance and upkeep. Composite doors are now available online in a variety of great colours and finishes. 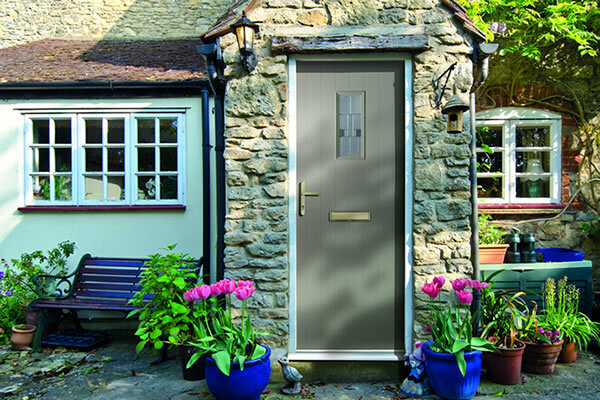 This high performance composite door is in a league of it’s own. It is 59% thicker than your standard door, is 19% more thermally efficient and even comes with 50mm triple glazing as standard. 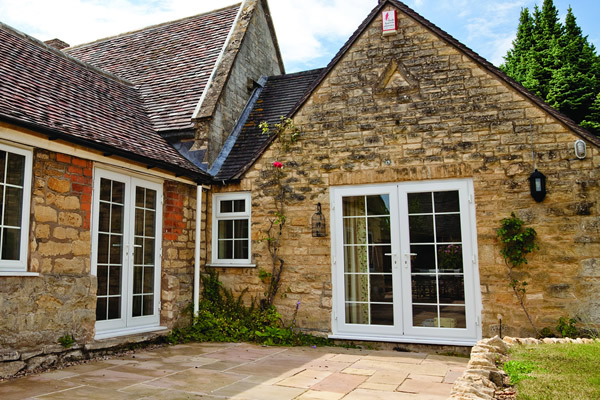 Add some elegance to the look of your house with a stunning set of uPVC French Doors. We have a wide range of double glazed French Doors to choose from, available for instant prices online. Let the natural light illuminate your home with a stylish set of uPVC patio doors. Great for easy access to your home, yet built from high quality materials to ensure you home is safe and secure. These uPVC Slide & Swing doors are a beautiful yet functional addition to any home. 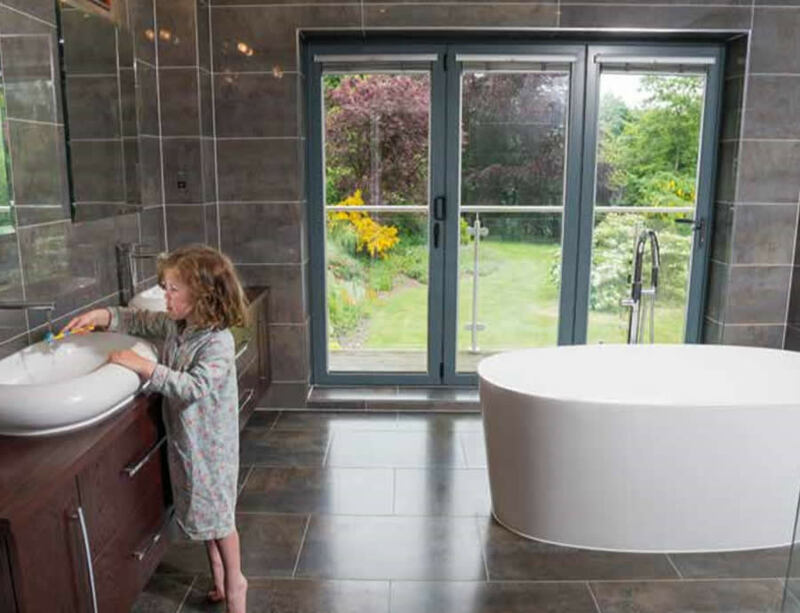 These state of the art double glazed doors can open individually or completely slide away. 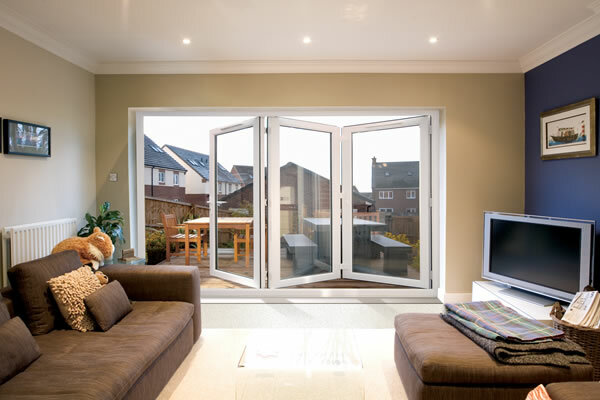 Minimalistic uPVC Bifold doors can transform the style of your property. 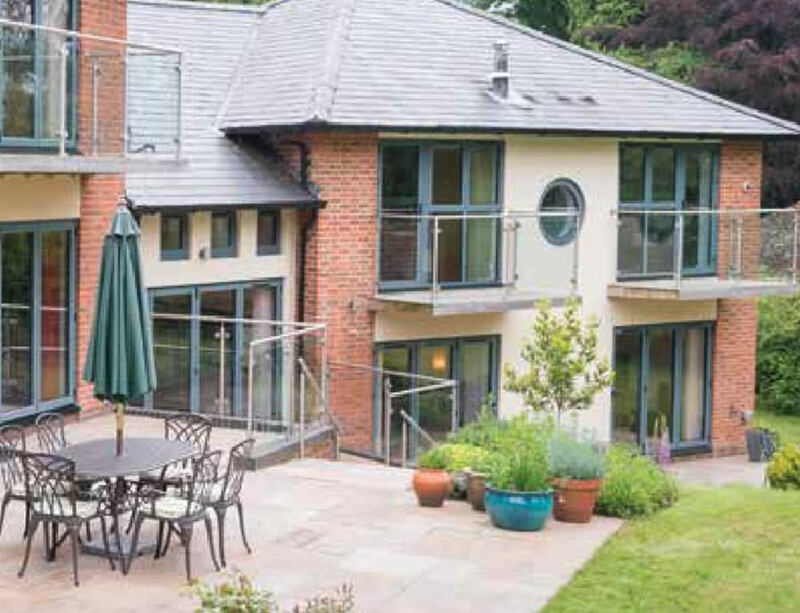 The slimline frames allow the maximum amount of light into your home, perfect between rooms or out to the garden. Aluminium doors are becoming more and more popular. The lightweight, slimline design is the perfect addition to any modern home. They are long lasting with great durability and low maintenance. Let the light into your home with a set of uPVC Bifold doors. Browse our entire double glazed range and get a quote for your perfect bifold doors for your home. It could not be easier. Our prices are hard to beat and include supply and fitting. Start your quote today and see how easy it is to get a cost for your replacement doors. With their minimalistic style and wide glass areas, you would be forgiven for thinking that these doors are not heavy on security. In reality they are actually very secure. 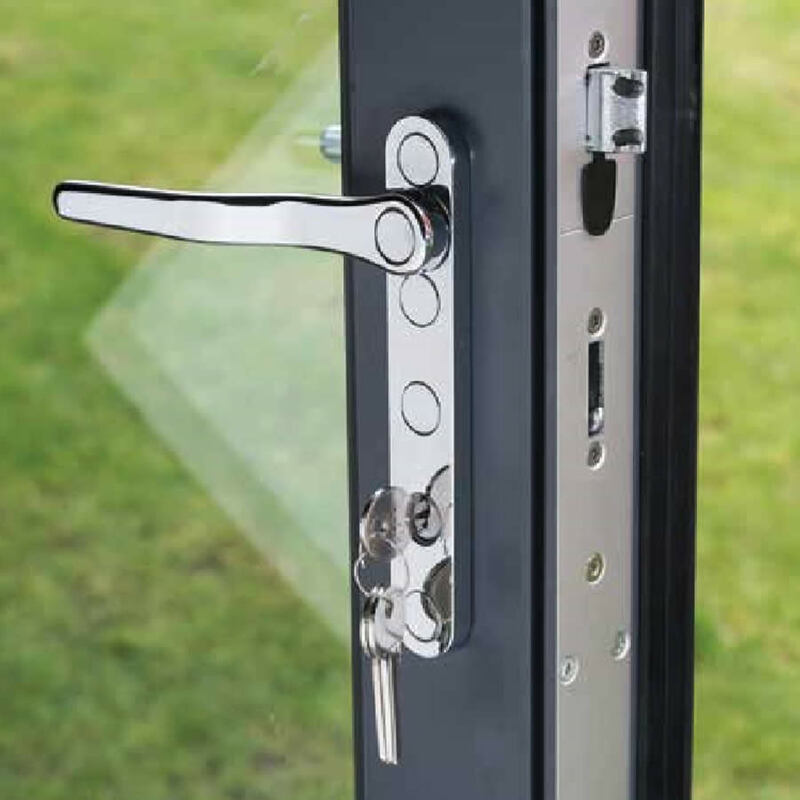 The uPVC materials and double glazed glass are very strong and they come with a high quality locking system, perfect to keep your home safe and secure. 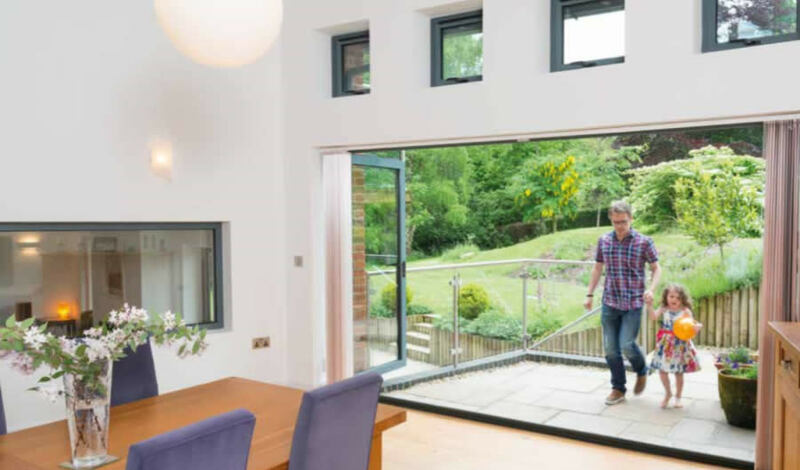 How do Bifold Doors open? Bi-Fold Doors are so popular as they can open to create an uninterrupted entrance to your home. The doors fold together to the side to create this spacious opening and let and amazing amount of light and air into your home.